Taurida National Vernadsky University is the leading institution of higher education in Crimea. The University employs about 1314 lecturers, including 133 Doctors of Science and profes-sors, 569 Candidates of Sciences, associate professors, Senior lecturers and Lecturers. The University furnishes excellent environment for academic work and studies. Faculty members and students enjoy access to the academic library with a large stock of literature, special-ized reading halls, equipped with computers. All Faculties have their own training laboratories. The University has its own Astronomical Observatory, Zoological Museum and Botanical Garden. The University computer network links together about 1000 workstations, most of them have Internet access. Multimedia kits, digital services, CDs, educational and test courses are widely used. Application of advanced technologies, such as fiber-optic communications and computer telephony, etc., is gaining greater potential. Annually more than 60 international conferences are held at the University. At present the University has the agreements on international cooperation with 40 universities of Germany, Greece, France, Switzerland, Great Britain, USA, Russia, Byelorus. 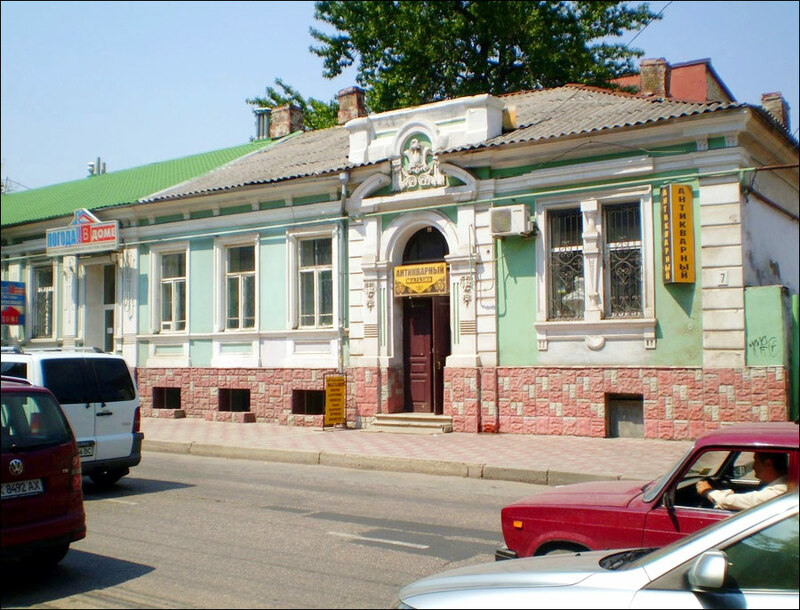 First settlements on the territory of present day Simferopol were formed at pre-historic times, Napels-Scythian is the most famous among ancient ancestors of the city. It was the capital of late Scythian state formed in the 3rd century B.C. and presumably destroyed by Goths in the 3rd century A.D. There was no large town on the territory of Simferopol in early medieval epoch. During Crimean khanate, a small town Akmesdzhit (known as Ak-Mechet in Russian sources) which was a residence of kalga - the second person in the state after khan. The quarters built at those times now are called the Old town. The Old town differs in its design with narrow and crooked streets - typical for oriental towns. After Crimea was included into the Russian Empire, it was decided to form Tavricheskaya oblast (later – gubernia) on the most of the khanate territory and to found its center on the place of Ak-Mechet. In 1784, construction of administrative and apartment buildings and an Orthodox church began close to Kebir-Dzhami mosque. This district differs by its regular design (direct streets crossing each other at the right angle) and mainly 2-storeyed buildings. The city including both newly built quarters and the territory of Ak-Mechet received the name Simferopol - it is translated from the Greek as “the town of benefit”. The Greek name was chosen due to the fact that at Catherine II time there was a fashion to give Greek names to new towns on the southern joined territories. It was a kind of memory of Greek colonies existing there at ancient and medieval times. Since that time Simferopol is the administrative center of Crimea. 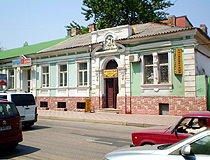 Soviet power was established in Simferopol city in 1918. 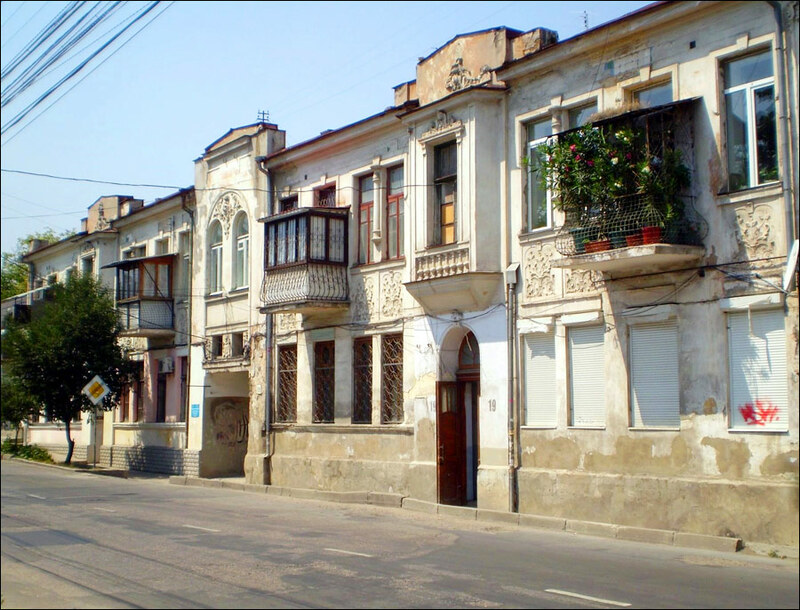 During the Russian Civil War 1918-1920, Simferopol was occupied by foreign troops. In 1945, after Autonomous republic was abolished and Simferopol became the center of Crimean oblast of Russia. The oblast was granted to the Ukrainian SSR in 1954. 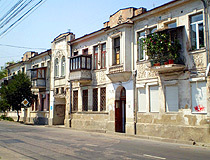 After the declaration of Ukrainian independence in 1991, Simferopol became the capital of the movement (Sevastopol was another important center) for separating Crimea from Ukraine. The historical and actual closeness of Crimea to Russia is the important reason for this movement: till 1954 Crimea administratively was a part of Russia, most part of Crimean population is Russian-speaking. 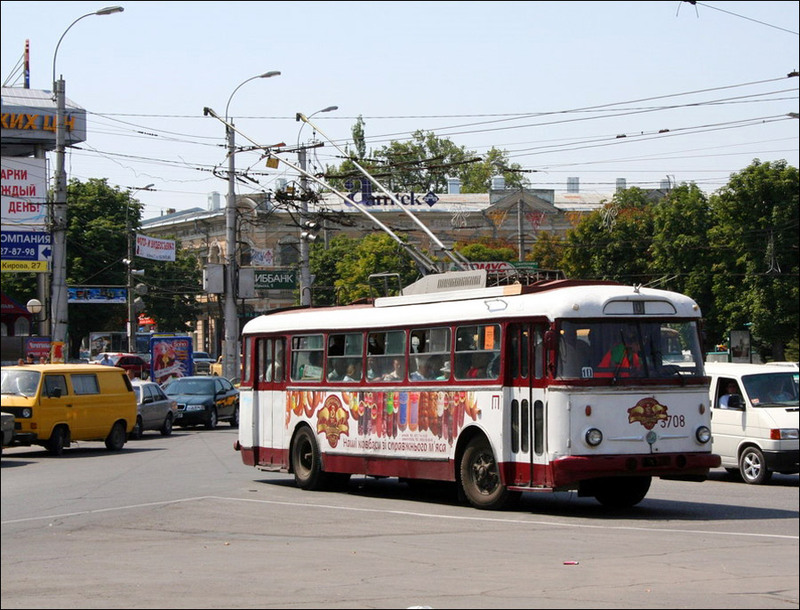 Simferopol is an important transportation juncture of Crimea. Most of the ways from the republic to outer world cross the city. 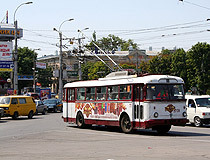 Simferopol, Alushta and Yalta are connected with a trolley-bus line - the longest in the world (86,5 km). Most part of Crimea Universities are located in Simferopol, among them - the main University of the republic, one of the 10 classical Universities in Ukraine - Tavrichesky National University named after V.I.Vernadsky, founded in 1918. Simferopol has teacher-training, medical and agricultural institutes and several research establishments. Simferopol has a wide range of food-processing industries and makes wine, tobacco and cigarettes. There are also light engineering and consumer-goods industries, producing machine-tools, armatures, television sets, clothing and footwear. Vorontsov Palace. One of the earliest monuments of classical architecture in the Crimea built in 1826-1827. The palace is situated in a landscape park “Salgirka” founded in the early 19th century. Today it is a botanical garden of Tauric National University named after V. Vernadsky. Address: Simferopol, Yaltinskaya Str., 2, park “Salgirka”. Scythian Naples. The ruins of the ancient capital of late Scythian state are located at the top of Peter’s Hill in the center of Simferopol. You can see reconstructed tower, the remains of the wall. There is an excavated area with the foundation of a large public building with columns, a granary. Address: Simferopol, Neapolskaya Str. Kebir-Jami Mosque. The main spiritual center of Muslims of Crimea and architectural monument of the time of the Crimean Khanate. It is the oldest building in the city that gave it the first name of Ak-Mosque (“white mosque”). The mosque was built in 1508. In 1907, the mosque was reconstructed and received its current forms of Turkish religious architecture. The mosque is open to tourists (you have to take off your shoes at the entrance). Address: Simferopol, Kurchatov Str., 4. Crimean Ethnographic Museum. The collection of the museum has four thousand artifacts that characterize traditional culture of ethnic groups of Crimea. The collection includes exhibits of the material culture, customs and rituals, traditions and holidays of thirteen ethnic groups of the peninsula. Address: Simferopol, Pushkin Str., 18. Opening hours: 9:00-17:00, day off - Tuesday. The chestnut with five trunks. The tree planted in 1829 reaches 25 meters in height and about 5 meters in circumference. Address: Simferopol, Frunze Str., 30. Chokchura Cave. The site of Paleolithic man, one of the oldest monuments of human life in the Crimea. The cave is located on the eastern outskirts of Simferopol, in the valley of the Maliy Salgir River. Among the archaeological finds are flint tools, bones and tusks of mammoths, figures carved on the limestone. Address: Simferopol, Lugovaya Str., 77. Obelisk of Dolgoruky. The monument was erected in honor of the capture of the Crimea by Russian army under the command of General V. Dolgoruky in 1771. Address: Simferopol, Zhukovsky Str. There are six modern dormitories with rooms for 2 or 3 persons. Accommodation costs: USD 350 per year. Sport centers, gymnasiums and sport grounds, various amateur clubs and hobby groups are at their full service. The symphonic music concerts in Botanical Garden of the University have be-come traditional and are taken fancy by everybody. The University has its own health rehabilita-tion facility Prometheus, situated in Alushta, on the Southern Coast of Crimea. Modern public catering system is operating in the University: a canteen, various cafes and lunchrooms. When student arrive to airport he/she will be met and transferred to university. At university student have orientation and welcome brief. After orientation student will be placed at university hostel. During all time of studying at university foreign students are supported by qualified team of International Department. All their needs will be satisfied with pleasure. There is very helpful consultancy for students who have educational difficulties. All university hostels are secured and have time restrictions for guests to ensure safety and good conditions of living. The Ukrainian people are open-minded and calml. The most recent example being the Orange revolution, a completely peaceful demonstration by the people looking for political change. You will find that Ukrainians are very amicable with a good sense of humor. There is no racism at all. Strangers will be extremely friendly to you and impressed that zou chose to study in their country. The University is engaged in student exchange with other universities and hosts joint con-ferences and seminars/workshops. Students from China, Turkey, Russia, Algeria, Palestine, Jor-dan, Serbia and other countries study at Taurida University. On the programmes Tempus and Tacis large-scale projects are fulfilled: "Economics of Environment", "Development of Education in Ecologically Safe Energy Sphere", "Support of Management Training in Crimea", "Development of Media Skills", etc.